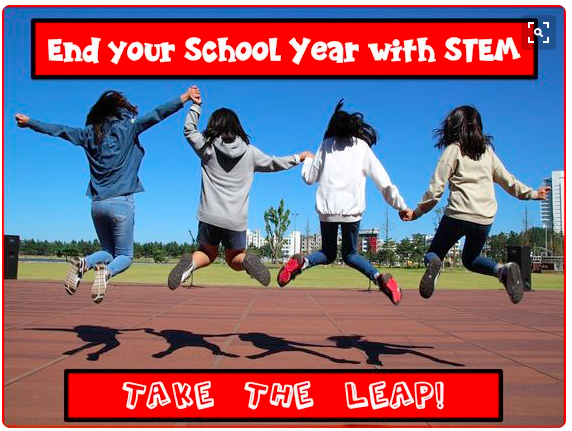 Blog Surviving the End of the Year with STEM, STEM, and More STEM! Three Tips for Survival: STEM , STEM, and more STEM! The end of standardized testing and the approaching last days of school, brings both excitement and trepidation to most teachers. On one hand, it’s a relief to be finished with intervention groups and days of review. On the other hand, most students see the end of testing as a signal that ‘real’ school’ is over and it’s time to either kick back or let loose. Sometimes teachers feel that they are babysitting and spending all of their time disciplining errant students. In addition school districts, ending the calendar year several weeks after the last test, instruct weary teacher to make sure that time isn’t wasted and students continue to learn! What is the solution? We believe the answer is STEM, STEM, and more STEM. We have always looked forward to the end of testing with excitement. At last the students can be totally engaged all day in activities that allow them to solve real world problems and stretch their imaginations while applying what they have been learning all year. Discipline problems? No way! Students are so engaged each day that behavior problems are non-existent. We have done STEM integrated themes during this special time that have ranged from Super Heroes to Ocean Exploration to Pirates to Aviation. But if you just want to get your feet wet with some engineering ideas and test out the possibilities, we would like to share three STEM tips that you and your kiddos will enjoy. 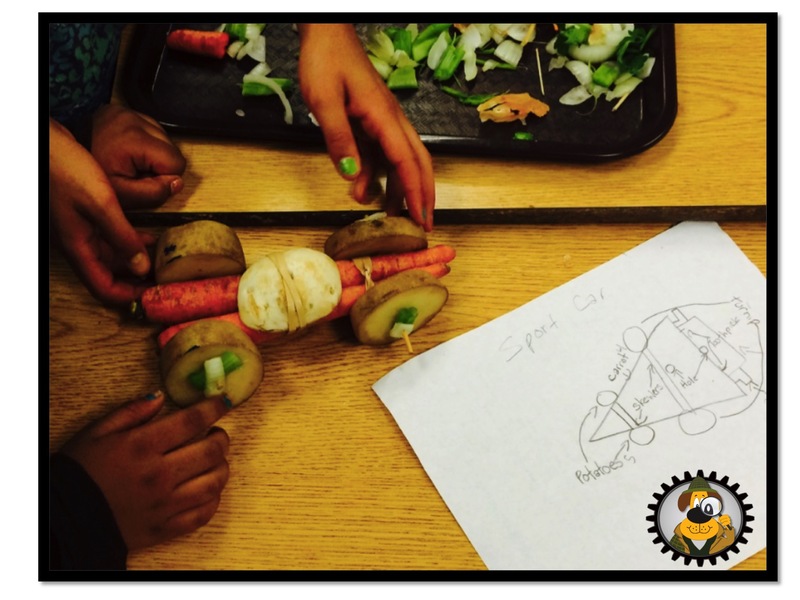 One of our very favorite activities to do with the students at the end of the year is to have a STEM Veggie Car Race. This entails having the students, in teams of four, design and build a car constructed entirely of fruits and vegetables. After the car is built, they are rolled down a ramp and the distance traveled is measured. While engaged in this activity, the students not only apply what they know about force and motion but also learn about the properties of the fruits and vegetables that they eat on a daily basis. The Great Veggie Car Race! Of course what school year can end without a school-wide Egg Drop Extravaganza? 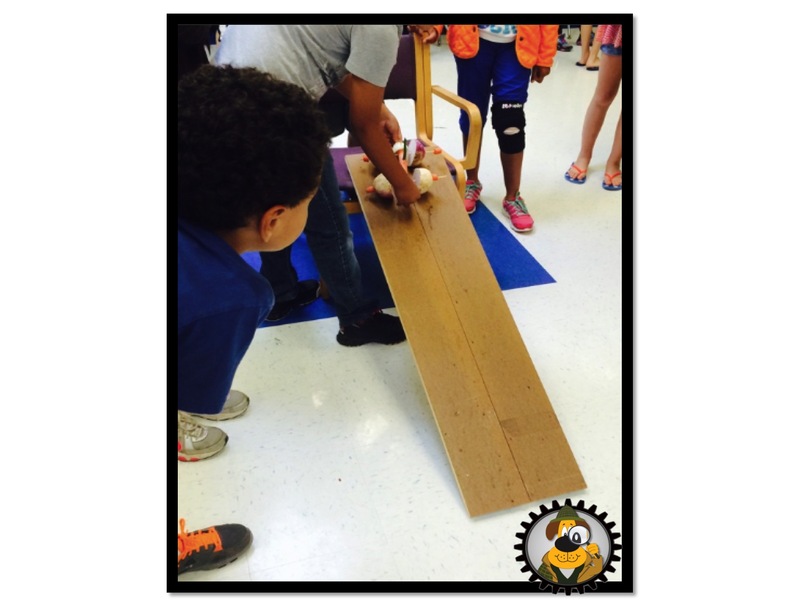 Each year, students design and build a vehicle to protect an egg when it is dropped from the stair landing. Students work all morning before the big drop experimenting with the best design to protect their egg. 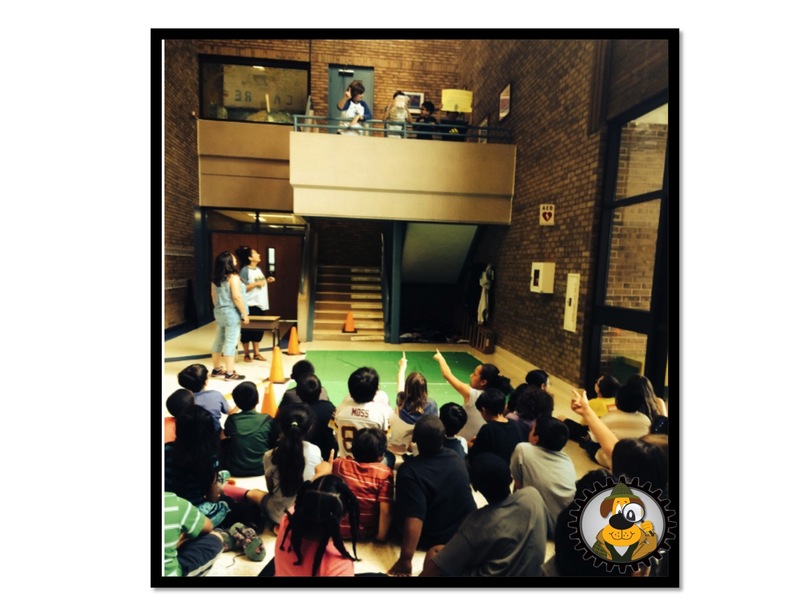 Last year, our third consecutive Egg Drop Extravaganza, students could be heard discussing design improvements to their vehicle and applying what they had learned during the previous two years. On the actual day of “The Drop”, you can feel the excitement in the air. There is nothing like hearing an entire grade chanting “Drop That Egg” as they cheer on their classmates. It is definitely a top tip for a joyous end of the year learning experience. Row, Row, Row the Foil Boat! Our final tip for the end of the year involves being outside on a bright sunshiny day and playing with water. Who wouldn’t love that? This simple activity has simple materials yet hours of fun. With just foil, pennies, and a pan of water, your students can build and test different boat shapes. 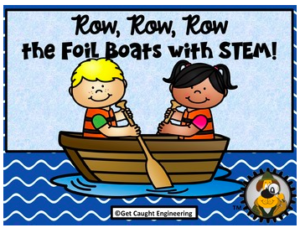 Download our freebie for this activity and you are good to go…or good to row… with a great outside STEM activity. The end of the year for us is always a time to savor. 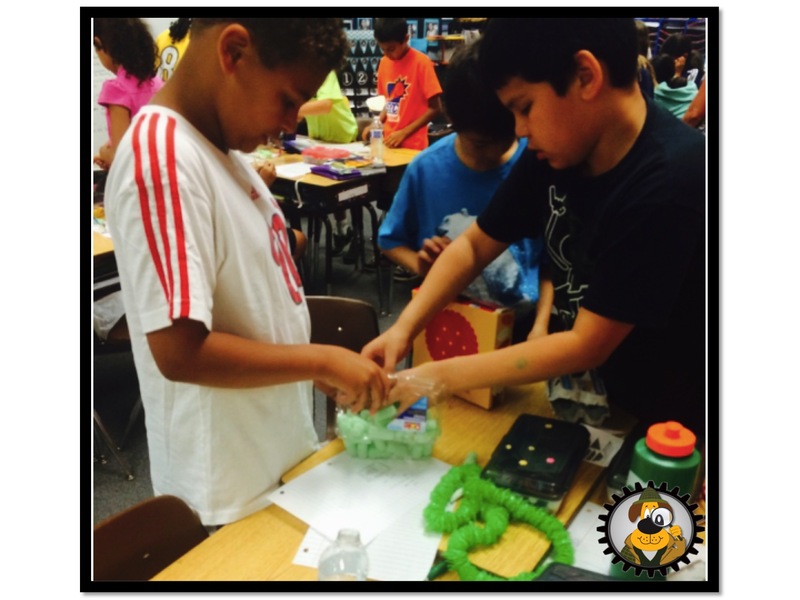 The pressure of testing is gone and the students can spend their days immersed in hands-on learning. Our students come to school each day excited to learn and truthfully are a little sad when the last day of school arrives. It’s a great way to end the year. So take some tips from us…STEM, STEM and more STEM. We hope your kiddos “ Get Caught Engineering”.